Berlin. Forty years from today. A roiling city of immigrants, where East crashes against West in a science-fiction Casablanca. Leo Beiler (Alexander Skarsgard), a mute bartender has one reason and one reason only for living here, and she’s disappeared. But when Leo’s search takes him deeper into the city’s underbelly, an odd pair of American surgeons (led by Paul Rudd) seem to be the only recurring clue, and Leo can’t tell if they can help, or who he should fear most. 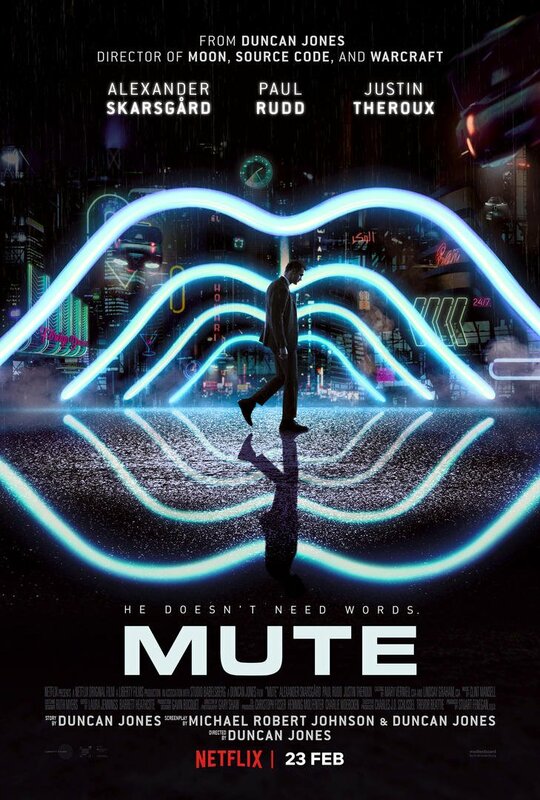 MUTE premieres exclusively on Netflix on Friday 23rd February 2018. Keep up to date with MUTE news on Twitter, Instagram and Facebook. All MUTE news on this here site is… here.